When you decorate your home or move into your newly built property, no matter how many measures you or the construction workers take, there is bound to be some dust and debris around as it has a tendency to get everywhere. Try as you might, you’ll be hard pressed to rid yourself of all the mess. And besides, you’ve probably spent all your energy doing the decorating or moving houses, so do it yourself construction clean up jobs are probably last on your agenda. This is where an after builders cleaning company comes into play. While the builders will try their best, they are not professional cleaners. 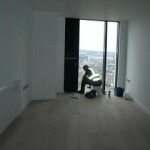 After builders cleaning London is a specialist cleaning service performed by fully trained and experienced house cleaners. They will use the very best cleaning supplies and state of the art equipment to make your new property or remodelled room sparkling clean, just the way you imagined it to be. All you have to do is call a cleaning company London and they will arrange for construction cleaners to come and fix up your home in a fast and efficient manner. You have invested so much time and energy in making the house of your dreams, and it’s always an anti-climax when you finally see the back of the builders and take a glance at their handy work because of the amount of mess that gets left behind.